Many of our training team travel regularly and have become used to seeing their GP or the travel health clinic for their pre-trip health needs. But a pharmacy for anti-malarial tablets? No “interview” with the doctor or nurse? This has got to be good news. Now we should say here and now, that you must always seek professional medical advice if you have any doubts about your general health before travel. But for people in good health, with simple requirements, that advice could now be from many pharmacies in the UK. This has got to be good, less appointments at the doctors, less prescriptions going backwards and forwards [and according to our local pharmacy- cheaper as well]. When people talk about malaria the idea of taking anti-malarial tablets [chemo-prophylaxis if you prefer] has suffered some controversy over the years. However for people traveling from the UK, or returning to malaria areas after a gap of years, it must be seen as a central part of the strategy to prevent the spread of malaria. This strategy has often been summed up as the ABCD approach. A-Awareness: be aware if you are traveling to a malaria area. Consider the possible seasonal effects and that people who have lived away for more than 5 years may lose their “immunity”. C-Chemo-prophylaxis: Just so there is no doubt, we see this as a central part of the battle. Take the tablets. Take the full course. Continuing after you have returned home. For many parts of the world there is more than one option, so if you are concerned about the one offered ask. 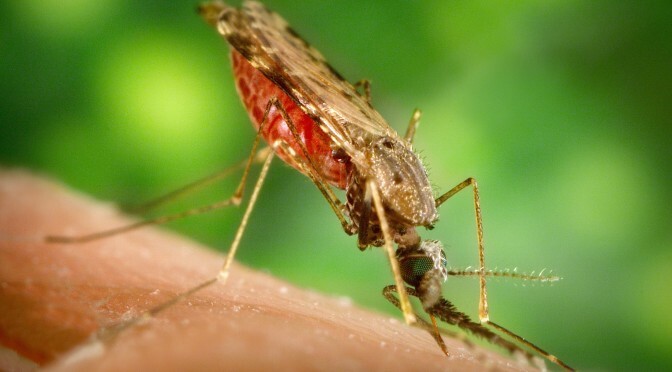 D-Diagnosis: If you have been in a malaria area for more than two days and develop a fever, or have visited one in the last two years, malaria is a possibility. Seek advice about being tested. Malaria testing kits are becoming cheaper and more accessible. Something we recommend our on First Aid in Remote Locations and similar training is to write a “bragging” list of places you have traveled. Keep it saved online, probably on your email or on an online storage plan [dropbox or googledrive], but give access to someone who could advice the medical staff if you become ill. But what ever you do, if you’re in the UK consider getting your anti-malarial tablets from the pharmacy next time.